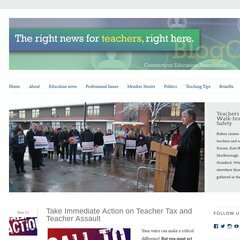 Tópicos: Task Force’s Website, Clark Lane Middle School, Education Week Has A Story, e Connecticut Education Foundation. blogcea.org Teachers Elected to Leadership Positions at 162nd Representative ..
blogcea.org Technology in the Classroom – How Has It Impacted Your Teaching ..
Está hospedado em Layered Technologies Inc (Texas, Plano,) utilizando um servidor nginx. Os 3 nameservers são ns3.wordpress.com, ns1.wordpress.com, e ns2.wordpress.com. O endereço IP do site Blogcea.org é 72.233.2.59.